Next time your trusty vehicle needs service, why not turn to one of our service centers in Broken Arrow, OK? 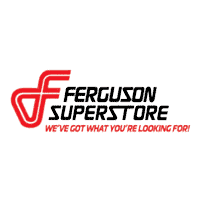 You already know that the Ferguson name is one you can trust, and that we’re completely dedicated to your needs. It doesn’t matter if you choose our Buick and GMC, Subaru or Kia dealership, you’re sure to get a great price on service your vehicle requires. Keep your vehicle running in excellent condition for years to come when you service with Ferguson! Any of our dealerships will work on any type of vehicle, but we specialize in certified Subaru, Kia and Buick and GMC service. We can handle all your vehicle’s oil changes, tire rotations, state inspections and other routine service visits. We can also handle tougher jobs like brake service and transmission repairs. If you’re involved in an accident, we can even take care of your collision repairs. Simply schedule a service appointment at one of our dealerships and we’ll be happy to work with you.